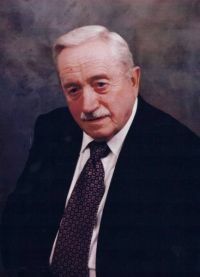 Herbert Brown passed away on Monday, January 23, 2012 at the Boundary Trails Health Center. He was predeceased by his parents and six siblings. He is survived by two sisters and numerous cousins. Herbert retired after a twenty-six year career in the Air Force. Cremation has taken place. The funeral service will be held on Friday, January 27, 2012 at 11:00 a.m. at the Zion Evangelical Lutheran Church, 144-7th St., Morden. Ash interment will follow in Carman. In lieu of flowers, donations may be made to the Heart and Stroke Foundation or to an animal Rescue/Shelter organization of your choice.